Woodcrest Townhome Community, offering discerning owners Luxury Townhomes of the Highest Caliber. The Coveted Townhomes in Woodcrest Community offer a V.I.P. Townhome Living in a Park-Like Setting. 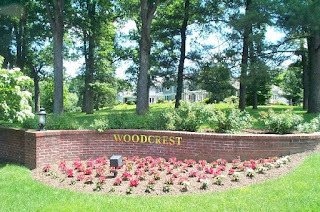 Located on a quiet cul-de-sac off Whippany Road, Woodcrest residents appreciate the peaceful environment and nearby amenities offered in this desirable community. Style, Comfort and Location, Serene Convent Station offers a Suburban Oasis for both its residents and visitors. Conveniently located in Convent Station section of Historic Morris Township, the Townhouses in Woodcrest offer Maintenance Free Living Without Sacrificing Space. Morris Township lies just 25 miles west of New York City in Morris County, NJ and is just minutes away from all the conveniences necessary for today’s lifestyles. For Available Homes in Woodcrest, please Contact Us!